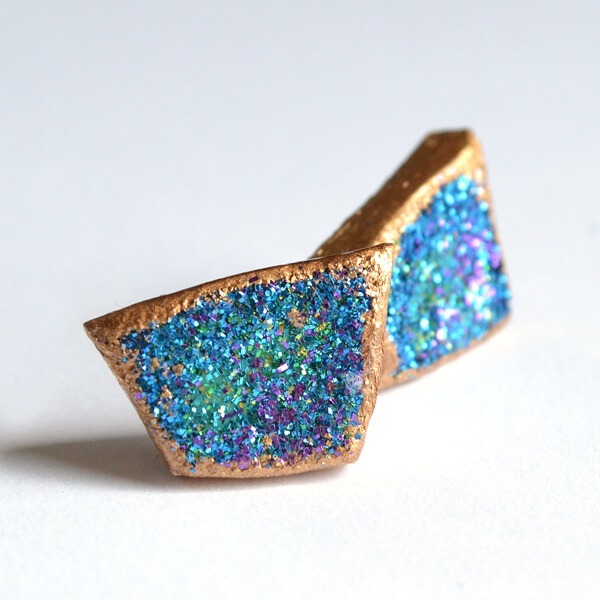 So a while back ago I made some totally awesome druzy earrings. I had to scout out Ebay like a fiend to find the perfect shape and color for my project and I have to say, it took a ton of patience. 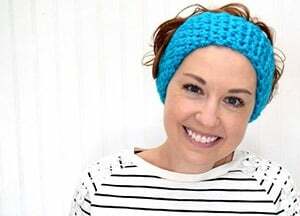 I wear the earrings regularly but one day they were just too darn heavy for my ears. I mean, druzy is a type of rock and rocks are heavy. So are diamonds but whatever… just know these rocks are a bit too heavy for earrings some days. So I decided to make some with clay. Now they aren’t as perfect or as pretty as the REAL druzy earrings BUT they are infinitely lighter! 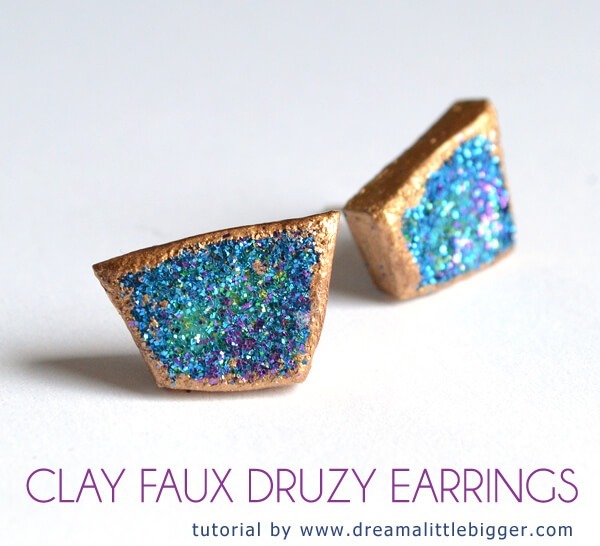 So I’m going to show you how to make clay faux druzy perfect for earrings that won’t have your earlobes touching your shoulders OR just in case your patience has run thin finding the perfect color or shape to purchase. Work the clay until you are happy with the color. I actually wound up working in some white to get a lighter color. I didn’t worry too much about getting the perfect color because the glitter will cover up most of the clay anyway. It’s a good idea to have the base color you’d like just in case there are spots where the glitter isn’t perfect. 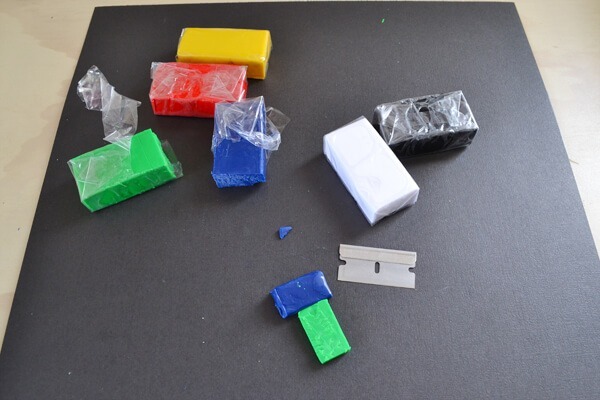 Roll the clay into a ball in your hand to eliminate creases and work into a flat shape. 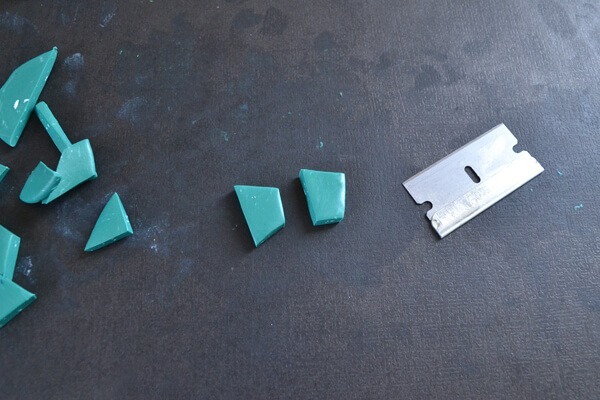 Using a razor blade, cut out your nifty shapes. Push your finger into the center to get the concave shape that druzy tends to have naturally. Don’t push too hard, just make a slight dent in the center area. Bake them according to your clay’s directions and allow to cool. 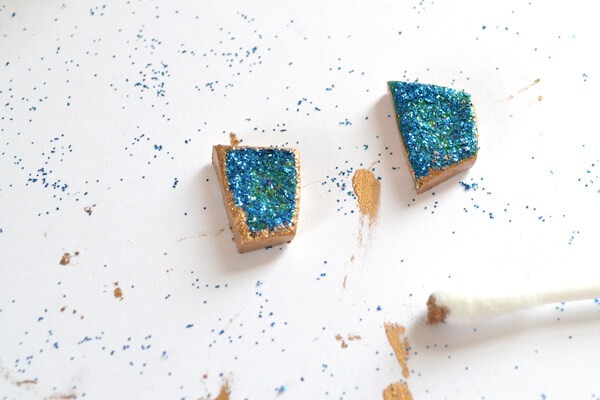 Brush Mod Podge onto the front of the shapes and apply a base coat of glitter that most resembles your clay color. When the first round is dry, run Mod Podge just around the outer edge. 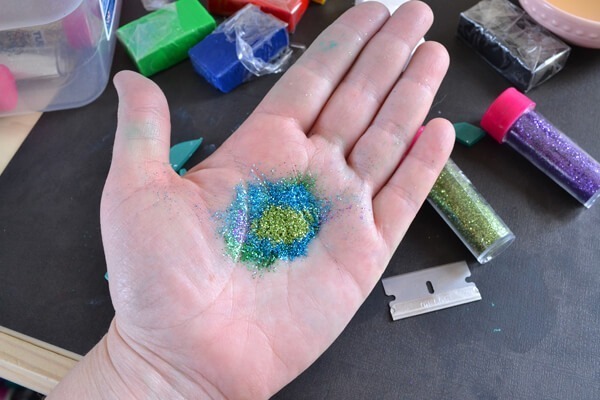 Mix up a handful of glitters in complementary colors and glitter up the edges of your shapes. Allow to dry. 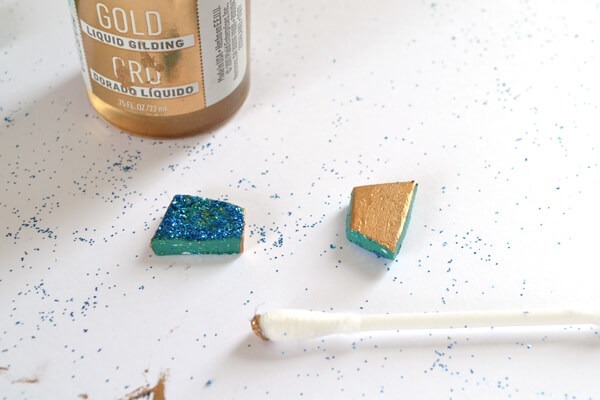 Using a brush or cotton swab (I prefer the swabs because you can just toss them when through and gilding is a pain in the patootie) and cover the back, quite obviously not natural druzy with a nice coat of silver or gold. Go around the edges and just barely over onto the front side of each “stone” to finish up. Allow to fully dry and don’t toss around too much or you’ll get glitter on top of your gilding, totally ruining the effect. Attach to some earring studs with strong glue and you’re all set to rock these lightweight but still stunning babies out! 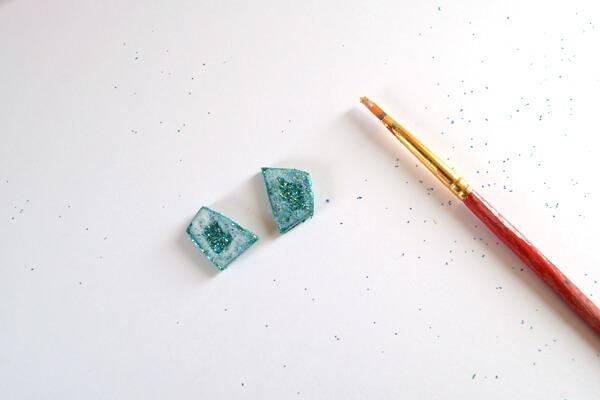 And don’t forget, if you want to learn about REAL druzy earrings, check this post out for all the deets!